Train to Pakistan is a bestseller by well known author Khushwant Singh. It was written back in 1956. This book is a fiction based on the time when India got independence along with the curse of partition. Even though its a fiction, it is very much inspired by reality. For a reader like me who has shallow knowledge of what had happened at that time, this book is informative too. The crude truths were never detailed out in our textbooks and we had no clue of the after effects of this political game. 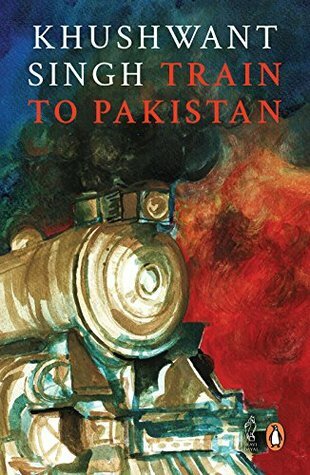 This book led me to think upon the unknown sacrifices that had been given willingly or unwillingly on the both the sides, before present day India and Pakistan stabilized. And how the innocent had to lose their lives in the process. The story revolves around one of the villages called Mano Majra, near the border of India and Pakistan, and the surrounding areas. Mano Majra is a fictional village located in Punjab. Sikhs and Muslims lived peacefully and with brotherhood in the village irrespective of the ongoing riots between the two religions. This novel depicts the daily activities of the people in the said rural area. Overall, it is a depressing story. You may hardly find any entertainment or cheerfulness throughout. There is a movie from year 1998 based on the book. I watched the movie soon after finishing the book, and again the reader in me justified being a reader! The movie misses out a lot that can be read in the book. I rate it 3.5 on 5 and recommend it for those of my age who are untouched of the partition time tales, and are interested in fiction.